The strongest in history competition, if considereing the rating on January 1st, has started in Zurich. The third Zurich Chess Challenge gathered: Magnus Carlsen, Levon Aronian, Hikaru Nakamura, Fabiano Caruana, Boris Gelfand and Vishy Anand. More on the opening ceremony in Evgeny Surov's photo report from Zurich soon on Chess-News. Yesterday the short opening blitz competition was held, it has been played instead of drawing of lots to determine the color distribution for the main tournament. 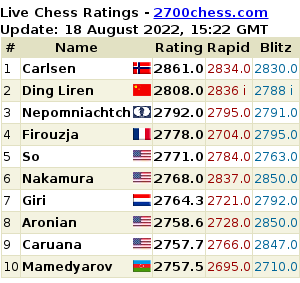 Surprisingly, almost all GMs finished accordingly to their ratings, except Gelfand and Anand who traded the places. The atmosphere was quite nervous. The world champion was in the spotlight as this is his first competition after winning the world title match. First rounds went unsuccessfully for Carlsen: he usually experienced time trouble and looked rusty. Aronian had even to ask him to play calmer and place the pieces more accurately. "It was great! It was a real knockout, so it was fun," said Carlsen to the Norwegian Broadcasting Corporation (NRK). We are closely following the event and deliver photo reports from the spot; the games will commented live by Genna Sosonko live on Chess-News. We start today at 15:30 CET. The games start at 15:00 CET. 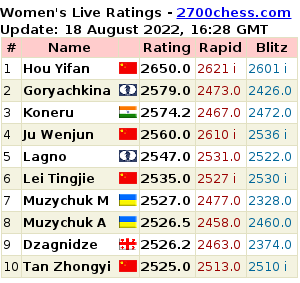 The leader of Zurich Chess Challenge hasn't changed one round to go: both games have finished in draws today. Traditionally Genna Sosonko commentated the game live on Chess-News.